Part of the Gainsborough Healthcare Group, Gainsborough Specialist Bathing is a trusted outsource partner that provides efficient installation, management and servicing of ‘any-brand’ power-assisted baths and accessible wet rooms. It is a proud ‘turnkey’ provider with 360-degree expertise in provision of bather-centric solutions that ensure safety, comfort and dignity for vulnerable users. Its management capabilities can synergise with world-class product portfolio that excels in ergonomics, efficiency and infection control. 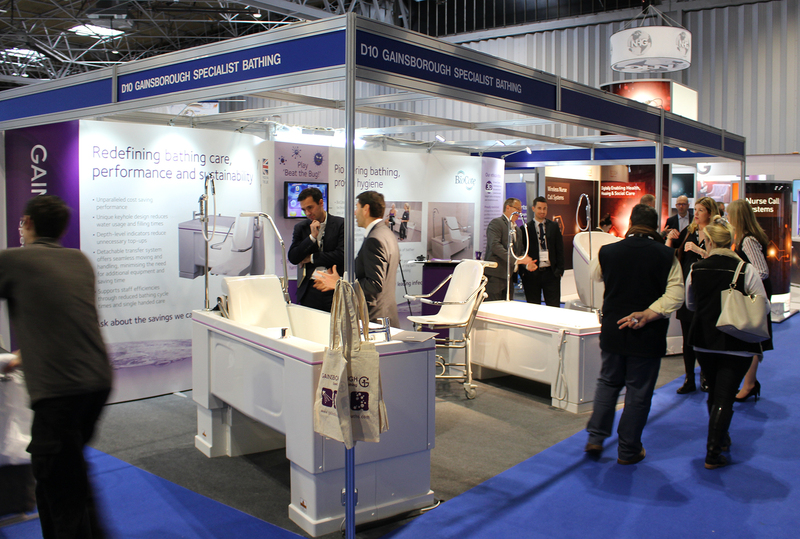 On stand C20 Gainsborough will be demonstrating its flagship hi-lo Gentona bath with integrated Biocote antimicrobial technology and the popular reclining Sentes for more complex bather needs. These baths can be cohesively supplied alongside hoists, specialist toilets and fixtures so that seamless solution integration is possible. With one point of contact for project and maintenance delivery, care establishment have a new advantage to choose.